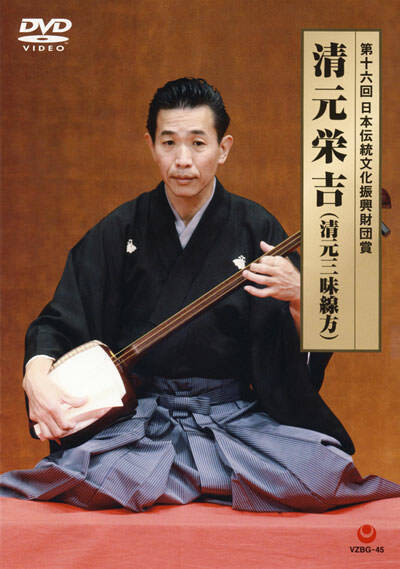 The Award winner of this year is Mr.Eikichi Kiyomoto, Kiyomoto-bushi Shamisen. His autonym is Kazuhiro Endō. He graduated with a degree in composition from Tokyo University of the Arts. He deepened interest in gamelan music during the attendance at school. After having graduated from a university to 1989, he converted to Japanese traditional music and became a disciple of Mr. Eizaburo Kiyomoto. And then Mr. Enjudayū Kiyomoto Ⅶ, the head of Kiyomoto-bushi, allowed him the name”Eikichi Kiyomoto”. Kiyomoto-bushi is generally abbreviated as”Kiyomoto”. The basis of Kiyomoto is”Tomimoto-bushi”, a school of Jōruri which emerged from”Bungo-bushi”. Enjudayū Kiyomoto Ⅰ became independent from Tomimoto-bushi, and founded Kiyomoto-bushi. Kiyomoto-bushi performances are done by the person called Tayū, who is responsible for reciting, and Shamisen-kata（Shamisen players）. The shamisen used are chūzao, the same as for Tokiwazu. The distinction of Kiyomoto is that words and sentences full of emotion are skillfully recited in very high-pitched tones. 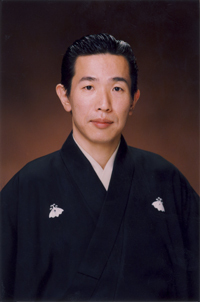 Mr. Eikichi Kiyomoto is shamisen-kata. He appears for a performance of Kabuki and the Japanese dance（Nihon Buyō）and deals with the much creation in a wide field. Furthermore, he gives technical guidance on the traditional Japanese music of the drama of NHK. He is member of Japanese traditional music composers group”Sōhō 21″and”Gendai Hōgaku Sakkyokuka Renmei”（the Composers League of Contemporary Japanese traditional music）. In 2012, he wins the Rookie of the Year award of the 33rd Matsuo Performing Arts Award for”Japanese Music”.